Early in her career, with highly regarded trainer Otis “Brownie” Brown, Patty brought along young horses, including those purchased out of the European sales. Patty says that finding talent when a young horse and maximizing that natural ability is something she truly enjoys doing and points to Mont Cenis, with whom she earned the title of highest placed American Rider at the 1994 World Equestrian Games, as an example. Patty is also working with another talented young horse named Cavendish, about whom she says with a chuckle but also a lot of pride: “If there’s ever been an ADHD horse, it’s him!” All joking aside, Patty says that Cavendish has a great deal of natural talent that could make him extremely successful in any number of different avenues that remain open in his training and future athletic career. Patty also notes that the nutrition programs for the horses she is working with are tailored around the activities they are performing, saying, “I think when you try to bring them to the peak of their performance, you have to add some other things” not only before the event but also after to aid with their recovery. Outside of the hunter/jumper world, Patty says that, if she had the time, she would love to learn more about other equestrian sports, particularly dressage and with someone like international dressage champion Robert Dover. Although she does not have much downtime outside of the ring, Patty does enjoy trail riding for relaxation whenever she can find the opportunity. She shares that perhaps her biggest excitement at the moment is the possible purchase of a farm and the potential she sees with a couple of the horses she is currently training. To find out more about Patty’s event schedule or training programs, please visit http://www.pattystoveltraining.com/. 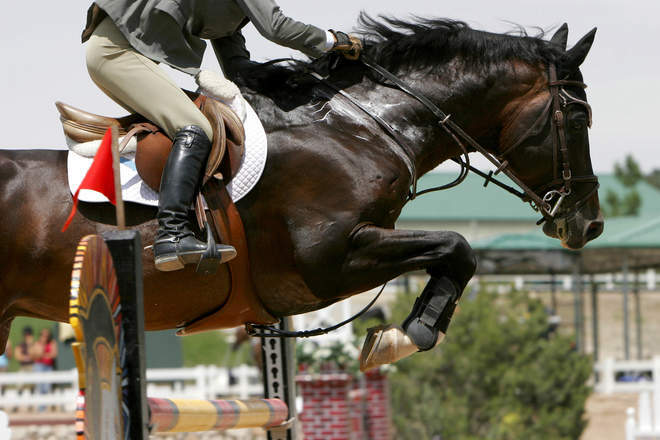 To inquire about our full line of high performance equine supplements, please visit www.vitaflex.com.